The legendary TACO, Multi SBIS/BIS USA CH Pahlavi Puttin´On The Ritz, the sire of Swedish Champion Kingsleah Pride Of The Ritz as well as the grandsire of our current litter. Taco is the Top Speciality Winner of all-time and the Nr 1 all time sire in the US. Taco was the Nr 1 sire in Canada in 1989 and 1994. 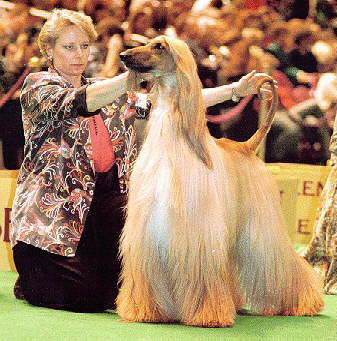 Taco was known as "the world's most famous Afghan Hound".